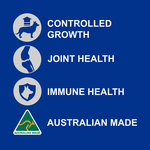 This super premium, Australian made, dry puppy food is complete and balanced to support the healthy development of your growing large or giant breed puppy. 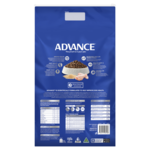 It is fortified with green lipped mussel powder to promote healthy joints and contains the correct balance of calories, calcium and phosphorus to support an optimal, controlled growth rate in large and giant breed dogs. Advance Puppy Plus Growth Large+ Breed also contains antioxidants to help strengthen the immune system, zinc and linoleic acid for healthy skin and a shiny coat, and prebiotic fibres to promote healthy bacteria in the gut for better digestive health and smaller, firmer stools. 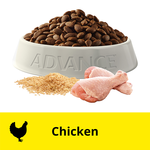 Chicken, Rice, Maize Gluten, Maize, Sorghum, Chicken Fat, Natural Flavour (Chicken), Tuna, Sunflower Oil, Beet Pulp, Iodised Salt, Potassium Chloride, Inulin, Choline Chloride, Turkey, Taurine, Plant Extracts (Tomato Powder, Marigold Meal), Green Lipped Mussel Powder, Vitamin E, Zinc Sulphate, Vitamin C, Citric Acid, Calcium Carbonate, Beta-Carotene, Antioxidants, Iron Sulphate, Copper Sulphate, Vitamin B5, Vitamin A, Vitamin B2, Vitamin B12, Potassium Iodide, Vitamin B1, Vitamin B3, Selenium, Vitamin B6, Vitamin B9. 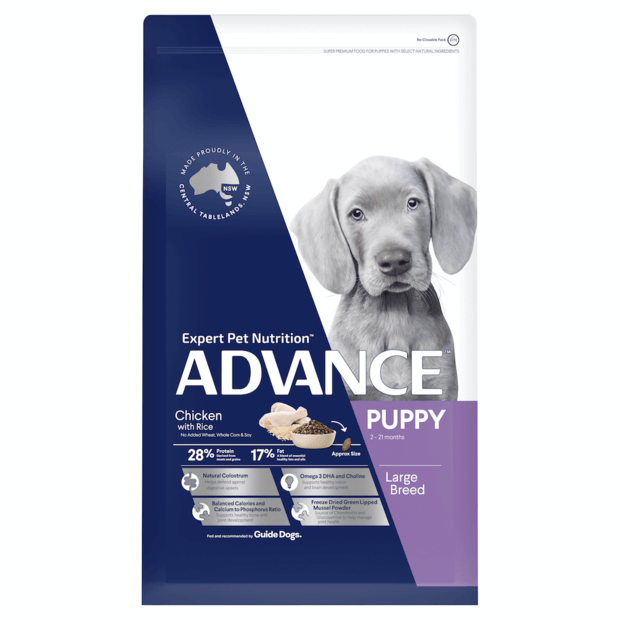 Super premium food that is specifically designed for puppies who are going to do some major growing in such a short time, with different levels of nutrients to puppy foods for small dogs...So important to get it right..!! 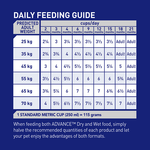 I love putting my puppies on this product once the rehydratable kibble becomes too small.